Vegan BBQ Recipes is rapidly becoming the home of plant based outdoor cooking. We're not bothered whether you eat meat, whether you don't, what your ethics are, or what they are not. Do you prefer cooking over charcoal, gas or use a wood pellet grill?...it's not important, it's just about barbecue and veggies. This page highlights the our most recent posts for what are the best plant based recipes for outdoor cooking. My dutch oven dahl recipe is the real McCoy and right from the heart of Kerala in India. My inspiration is from a chef who I met at the Dewalokam homestay and he taught me the foundation of this recipe. The best is that it's also really easy to prepare. 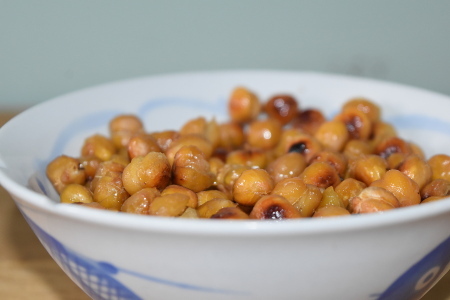 Continue reading "Dutch Oven Dahl: Sweet And Mildly Spiced Lentil Stew"
Continue reading "Sweet and Sour Tofu Stir-Fry"
Barbecue Buffalo Cauliflower is a both a great crowd-pleaser and a tasty snack. Served with a tangy ranch sauce dressing, it’s the perfect summer treat and a much healthier, tastier alternative to buffalo chicken wings! 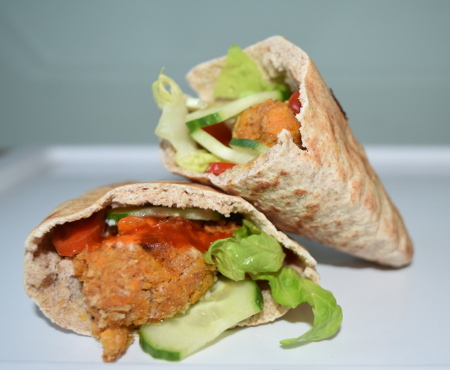 Continue reading "Barbecue Buffalo Cauliflower"
These sweet potato koftas are a delicious alternative to meat koftas. With just a simple seasoning, you can really appreciate the earthy flavour of the sweet potato. Continue reading "Sweet Potato Koftas"
Smoked miso aubergine is an absolutely delicious barbecue treat. 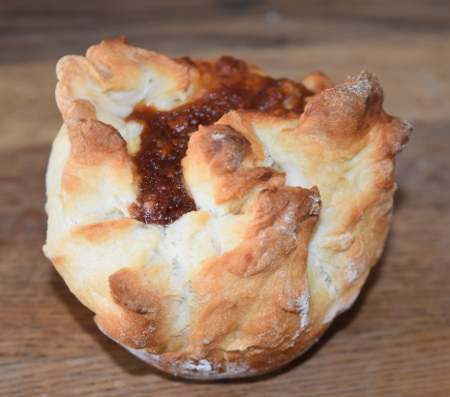 I remember my dad first cooked this when we had some guests over, served with some grilled corn on the cob and freshly baked bread; it went down a storm with us and our meat-eating guests alike! 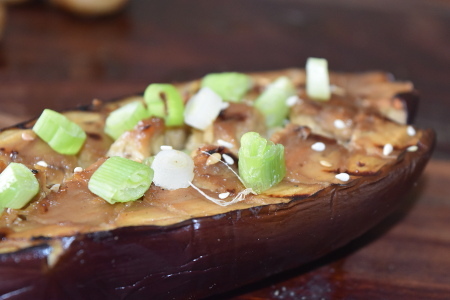 Continue reading "Smoked Miso Aubergine"
This barbecue miso mushrooms recipe is one of the easiest things to cook on the barbecue! With a delicious yet simple marinade mixed with the aroma of the charcoal smoke, they make a fantastic snack for any occasion. 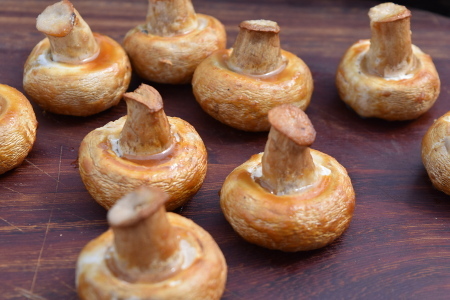 Continue reading "Barbecue Miso Mushrooms"
These cheesy marmite rolls are the ultimate barbecue comfort food. Crunchy, warming and satisfyingly savoury, they are best served hot and dipped in leftover cheese sauce. 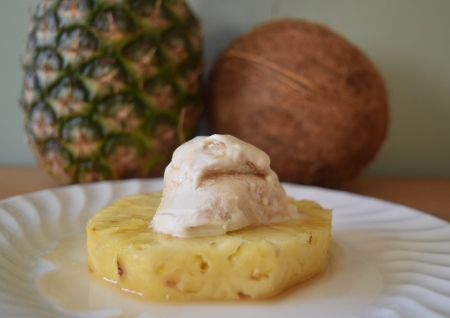 Continue reading "Cheesy Marmite Rolls"
What could be better on a sunny day than boozy rotisserie pineapple with refreshing coconut ice cream? Very little methinks. This tasty morsel will bring you some vibrant and sweet tropical flavours, sure to liven up any garden party. 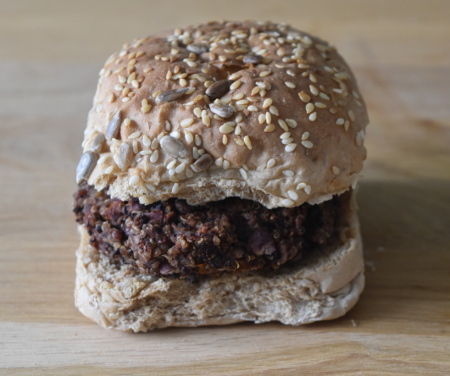 Continue reading "Boozy Rotisserie Pineapple"
Black bean and quinoa burgers are probably my favourite type of veggie burger. Flavourful and easy to make, it's a great burger to start out with. Continue reading "Black Bean and Quinoa Burgers"
The rich flavour of wild mushrooms makes this vegan pizza funghi exceedingly delicious. With the addition of a mushroom and white wine jus, this really is a pizza sophisticated enough for dinner parties! 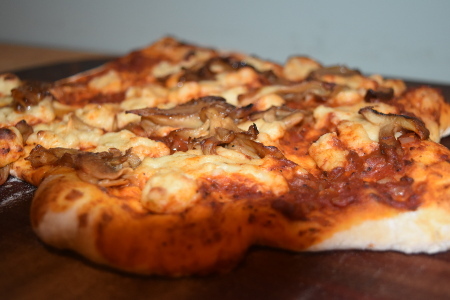 Continue reading "Vegan Pizza Funghi"
Vegan Pizza Margherita is not only delicious, but easy to make entirely from scratch! 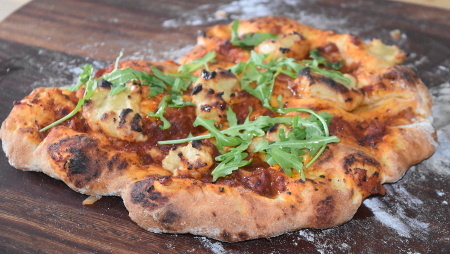 From the fluffy dough to the herby sauce and the gooey vegan cheese, this pizza is sure to be a winner at any party or family gathering. 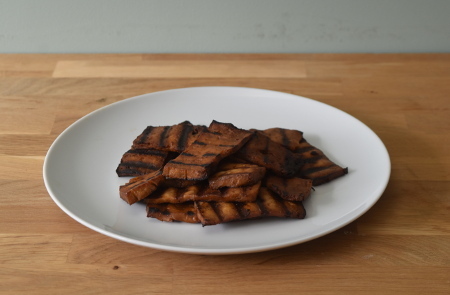 Continue reading "Vegan Pizza Margherita"
Smoked tofu jerky is a delicious snack, using the intense smoke of hickory and a sweet soy marinade to make a tasty morsel that resembles a classic beef jerky without the meat! 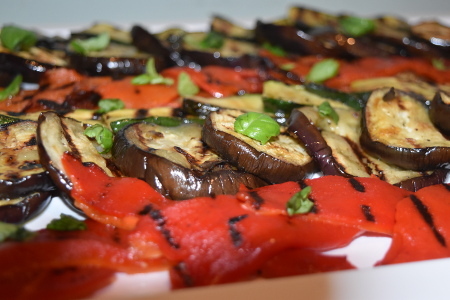 Continue reading "Smoked Tofu Jerky"
Bring the flavours of the Mediterranean to your back garden with these delicious grilled Mediterranean vegetables and pesto dressing, perfect for a warm summer's evening. Continue reading "Grilled Mediterranean Vegetables with Pesto Dressing"
Continue reading "Maple Smoked Chickpeas"
Make a vegan garlic mayonnaise packed with flavour in under ten minutes! Homemade garlic mayo is always the best, and the perfect accompaniment to any barbecue food. 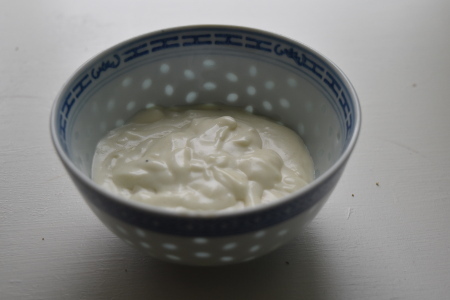 Continue reading "Vegan Garlic Mayonnaise"